See More of Moreton Island! 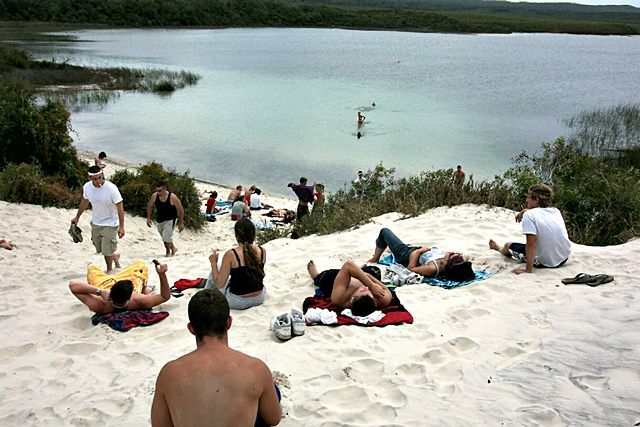 Tour Moreton Island and immerse yourself in a great variety of activities on the world's third largest sand island. Moreton Island is made for adventure. Explore with your small group (max 10 clients per tour) at your pace in one of natures last wild outposts. 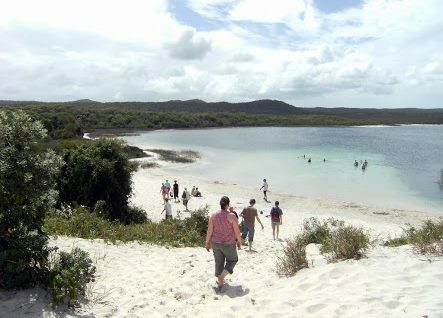 Travel by 4WD with your guide along surf beaches to the top end - Cape Moreton Lighthouse and lookout, Honeymoon Bay and North Point, places few people visit. 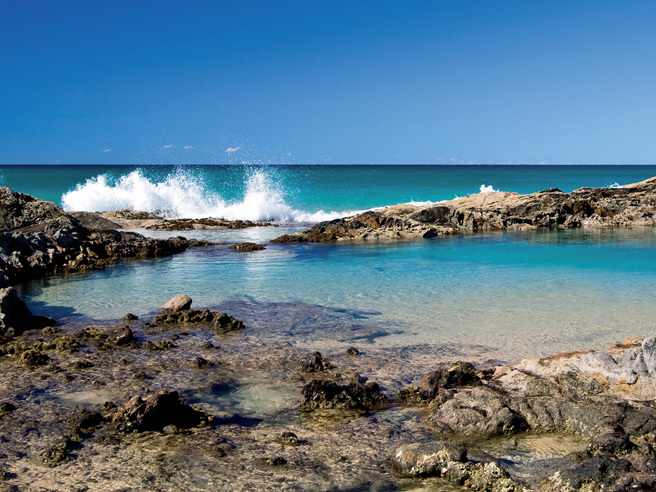 Swim the fresh waters of Blue Lagoon, snorkel or relax. Photo Harpers Rock, coloured sands and beach. Shipwrecks a must see for all travellers. 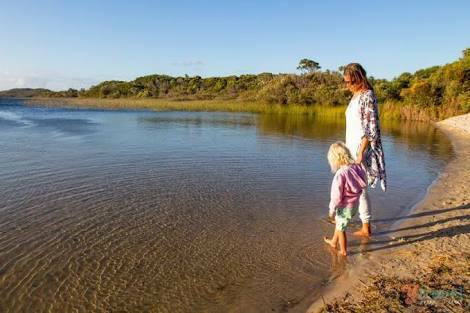 Moreton Bay Escapes offers the small group nature based eco adventure on Moreton Island and is an exciting tour to one of Australia's most beautiful sand islands. Enjoy lots of activities, including marine park wildlife spotting, nature walks and hikes. 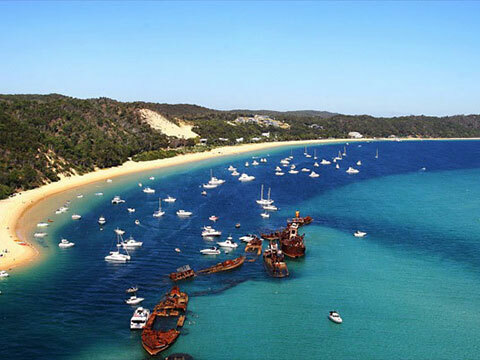 Travel up over the island sand range to the Tangalooma Wrecks and sea. Ferry across Moreton Bay Marine Park to Brisbane. "Our guide was very informative and funny. It was raining during the tour, but he easily made adjustments so that we could enjoy the tour even with the gloomy weather. It was fun! Would definitely recommend and go for the other tours." "Our guides Alex and Martin were wonderful! The amount of time given to each activity was great." "Excellent! We did a lot of different activities while still getting to see as much of the island given the time we had on tour." "Everything was excellent. I liked the sandboarding and swim at Blue Lagoon best." "Really smoothly run tour. Didn't feel rushed at all but also had a great itinerary. The guide was fabulous and checked in on us constantly to make sure we were happy. Great experience!"